Dublin Horse Show is delighted to extend an early bird FAMILY offer to Rewarding Times customers. Admission & reserved seating for 2 adults & 2 children. Come along to the Show on FAMILY DAY Sunday 12th August 2018 and save 48% on full ticket prices. the Dublin Horse Show is a unique Dublin experience and an event where summer memories are made! 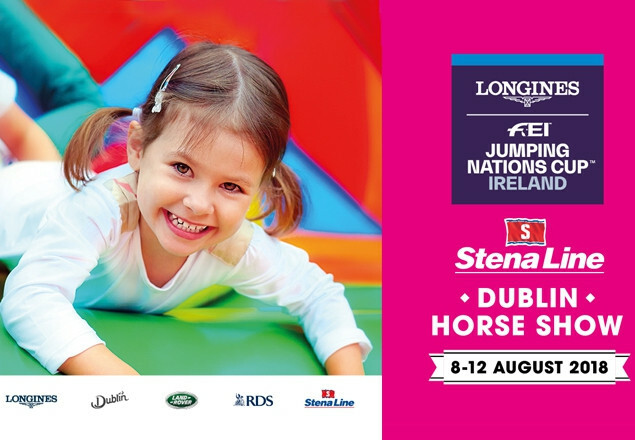 The Dublin Horse Show, August 8th-12th - a place for horseplay, an event for all.